Analytics Academy is a series of courses provided by Google to help take you through the basics into more detailed usage of specific Google Analytics features. It’s a free, online course that gives you a good overview of all of the things Google Analytics can do and the ways it can help you market your business. At the time of writing, Analytics Academy provides four courses: Google Analytics for Beginners, Advanced Google Analytics, Google Analytics for Power Users, and Getting Started with Google Analytics 360. All four are free, self-guided, online courses taught through a series of short (under 10 minute) videos. In addition, these courses are paired with a Google Community forum with discussion posts from users and provide self-assessments to test your knowledge at the end of each unit. Google Analytics for Beginners is the first course available on Google’s Analytics Academy. This course, meant for brand new users of Google Analytics, shows you the basics of how to use the platform. Included in the course are four units: Introducing Google Analytics, The Google Analytics Layout, Basic Reporting, and Basic Campaign and Conversion Tracking. Each of these units contains four video lessons further breaking down specifics. In this course you’ll learn how to create an account, navigate the Google Analytics interface and reports, and set up dashboards and shortcuts. You’ll also learn how to do basic analysis of several reports and track specific campaign progress. Advanced Google Analytics is a higher level course that teaches you more complex Google Analytics processes. This course teaches how data is collected by Google Analytics and how that data is turned into readable reports, and how to gather the specific data that you need for your business. This course has four units: Data Collection and Processing, Setting Up Data Collection and Configuration, Advanced Analysis Tools and Techniques, and Advanced Marketing Tools, with each unit consisting of several video lessons. This course teaches you how to set up Custom Dimensions, Custom Metrics, Event tracking, and other configurations, how to organize your Analytics account, and how to analyze the data you see in your reports. Additionally, it teaches marketing strategies such as remarketing to make the best use of the data you have. Once you have completed these two courses, you can take the Google Analytics Individual Qualification exam to become Analytics certified by Google. This certification helps to reinforce the techniques you’ve learned and demonstrate your newly learned proficiency with Google Analytics, making you stand out from the crowd of digital marketing experts. Google Analytics for Power Users is an advanced course that teaches dynamic methods for getting the most out of Google Analytics using complex tools and analysis frameworks. This course consists of four units: Understand Users, Attract High-Value Traffic, Improve Site Engagement, and Improve Product Performance. These units contain several video lessons each. With this course you build on analytical knowledge of the data gathered by Google Analytics to make changes to boost the performance of your marketing. You’ll learn to identify the best-performing content on your site, determine which traffic sources bring the most value, analyze the qualities of converting users, and techniques to improve overall e-commerce performance. Google Analytics 360 is the paid version of Google Analytics, mostly used by large enterprises with advanced analytics needs. If your business uses Google Analytics 360, you’ll want to learn how to get the most out of the additional features you’re paying for. This course is larger than the others with seven units: Introducing Google Analytics 360, BigQuery/GA360 Integration, Google Marketing Platform/GA360 Integrations, Campaign Manager/GA360 Integration, Display & Video 360/GA360 Integration, Search Ads 360/GA360 Integration, and Google Ad Manager/GA360 Integration. As you can see, this course mostly deals with how Google Analytics 360 integrates with other Google marketing platforms. It also teaches how to make best use of advanced additional Google Analytics 360 features such as Custom Tables and Roll-Up Reporting. All Google Analytics Academy courses are completely free. The courses are all completely online, so you can take them whenever it is convenient for you. You can leave a course in the middle and come back if necessary, the same information will still be available. Academy courses lead to the Google Analytics Individual Certification, provided by Google themselves to certify that you’re proficient in their platform. The courses are created by Google themselves, so the content can be relied upon to be up-to-date with the latest Google Analytics features. Signing up for Google Analytics Academy provides you with a Google Analytics Demo Account. This can be a huge boon if you don’t have access to a Google Analytics account with real data. The Demo Account will allow you to try out all of the features of Google Analytics and figure out what would work best for your business, for free. Google Analytics Academy courses are taught with individual video lessons and are not interactive.This may not be the best learning method for you to really understand Google Analytics. And if you have questions, they may not be answered in the course. You can always use the forum, but it's not the same as having a teacher. Each course is relatively simple and takes only 4-6 hours to complete. This is good if you want an overview, but is not an in-depth look at topics you may want more information on. If you want to become an expert, you’ll need more. There are many other self-paced online course options that focus on Google Analytics. They tend to be focused strictly on passing the certification exam, and are in general inferior to Google Analytics Academy in terms of truly learning how to use the platform. If you already have a decent understanding of Google Analytics and your goal is to pass the exam as quickly as possible, there are a couple of online prep classes that might be worth spending a little money on. Udemy, an online business instruction portal, offers a course that promises to get you Google Analytics certified in just 1 day. It’s not free, but as of writing this, the course is listed as on-sale for $9.99 (originally $199.99). The course is approximately 2 hours long, is highly-rated by students, and comes with a practice exam and hundreds of bonus practice questions. The two lectures cover Google Analytics for Beginners and Advanced Google Analytics. If your goal is to pass the exam as quickly as possible, then this course could help you get there. However, with only a two hour course under your belt, you might not have enough preparation to pass the exam if you don’t already have some Google Analytics knowledge. This course might not be the right approach for a complete beginner. 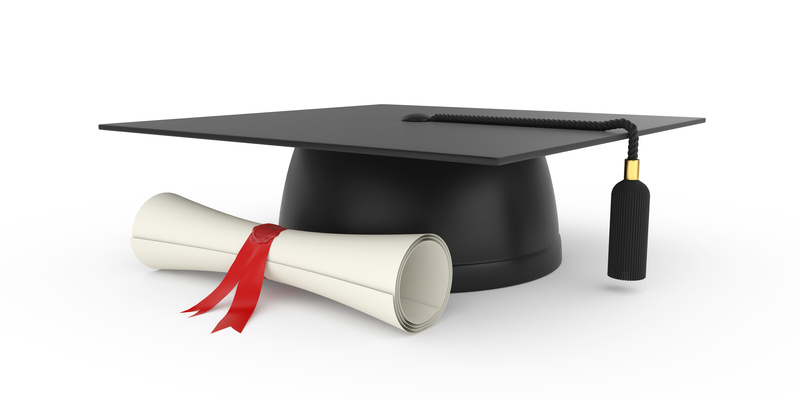 LinkedIn Learning (formerly Lynda.com) offers a number of Google Analytics online courses. These courses are offered by individual teachers and range in topic, skill level and length. A subscription to LinkedIn Learning is $29.99/month, and you can get your first month free to try it out. Unlike the Udemy course, the courses are in general more focused on teaching you tools for getting the best usage out of Google Analytics, rather than simply getting you past the exam. Like Google Analytics Academy, these lessons are usually a collection of short videos on in-depth topics grouped into larger units (such as Audience Reports or Behavior Reports). There are a wide variety of courses and videos covering everything from Google Analytics basics to deep dives on KPIs and SEO. LinkedIn Learning also has the benefit of multiple course paths to ensure you’re getting the exact knowledge you need. You can choose courses based on topic, on software, or on Learning Paths, which cover an aspect of marketing (such as Lead Generation). This can be useful if you want to cover not just Google Analytics, but also a broader view of a specific marketing goal. The non-Google online training classes have a lot of the same pros and cons as the Google courses. However, a non-Google course can give you different perspective and might be more in-depth if it is spread out over several days. You can learn at your own pace, without worrying about missing classes or showing up late. Compared to an instructor-lead course, online training is relatively low-cost. Courses outside the Google brand can offer a broader perspective than the Google Analytics Academy courses. Taking a third-party look at Google Analytics can bring insight to the platform that you wouldn’t get from the branded courses. The certification still comes from Google, so the official courses prepare you directly for the certification with similar language and direct coverage of relevant topics. Like with Google Analytics Academy, self-paced online courses have no instructor or fellow students, which can make it difficult to get a deeper understanding or assistance if you’re having trouble. Some of these courses over-promise. For example, it’s unlikely that simply taking an online course will be enough to get you a relevant job. If an online training course isn’t for you, you might instead choose to take an in-person training seminar. Businesses everywhere are looking for people with a good understanding of Google Analytics to work in their marketing departments, so there are often local training seminars that you can attend in-person to learn the platform. Often the way this works is that a training company will provide an instructor-led seminar in your local area that you can attend along with other students. Class sizes vary from 10 - 50 students and last anywhere from 1 to 5 days. These seminars give you a hands-on training experience with opportunity for discussion, questions, and collaborative problem solving. Bounteous (formerly Luna Metrics) has been doing Google Analytics training since 2003 and their courses are well regarded, having won several awards in the industry and offering over 200 industry certifications. Upcoming seminars are listed on their website here. Bounteous’ offers three Google Analytics courses: GA 101, 201, and 301, for $499 per day (each course lasts 1 day). GA 101 is their introductory course, which offers a high-level overview of the platform and basic understanding of the capabilities it offers. GA 201 and 301 are, respectively, intermediate and advanced courses that explore more advanced Google Analytics topics such as Custom Reports and the User-ID feature. Many students enroll for all three days to benefit from in-depth training. Bounteous offers a short quiz to help you figure out which seminar is at your level of Google Analytics knowledge. Various other companies provide similar in-person training opportunities. Imparture provides analytics and design training and offers a 2-day in-person training course named Google Analytics Immersive in a variety of cities. The American Management Association also offers 3-day classroom training. Check their schedule here. Both of these courses offer training for those with an entry-level understanding who are looking to bolster their knowledge. If you’re looking for overall training for your business rather than individual courses, a variety of analytics consulting firms provide customized, on-site training for organizations, usually utilizing your own data for the examples and training exercises. Seminars like these are often more expensive per head, but provide more immediate actionable knowledge and specific use cases for your business. Some companies providing this type of training are: Cardinal Path, E-nor, Analytics Pros, and others. Many seminar companies also offer group rates for businesses and other package deals. In-person training courses let you benefit from the presence of an instructor and peers, who can answer your questions and discuss best practices in addition to helping if you’re stuck. Training seminars are more in-depth than online courses, giving you exposure to more features and a better understanding of how to use them to solve real-world business problems. In-person seminars are often a large time commitment. Many require at least 3 days. They’re far more expensive than online courses. Bounteous charges $499 per day per person for their in-person training, and a three-day seminar from the AMA is $1,495. If certification is what you’re after, seminars may represent a bigger commitment than you need to make. They will provide in-depth learning, but might not prepare you specifically for the certification exam. In fact, you still might need to do the online Google Analytics Academy in order to pass the certification exam. “Boot Camp” style learning is most commonly associated with programming, but also can be an effective way to learn digital marketing. 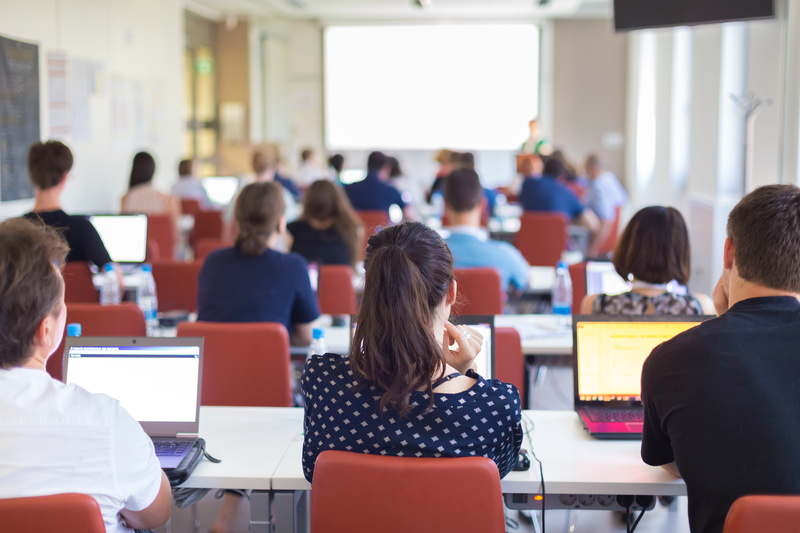 Boot camps are often presented much like a traditional university course, but significantly shorter (usually from a week to a couple months) and focus on a single area of professional development. Like taking a single university course, you travel to a location offering the course and immerse yourself in that topic (and only that topic) for a period of time. Many of these digital marketing boot camps provide Google Analytics training as a part of their overall course. If you’re looking for an intensive digital marketing education that includes Google Analytics, this may be the right choice for you. Boot camps provide hands-on learning, like seminars, with instructors and peers, but are much more in-depth and often designed to make you employable in the industry when you leave. However, any boot camp that offers some kind of employment promise should be taken with a grain of salt. While boot camps are designed to make you a knowledgeable digital marketer, you may still need to land an internship to get some real-world experience before you can be hired. One digital marketing boot camp with a Google Analytics component is offered by General Assembly. General Assembly is a boot-camp-style training company that was founded in 2011, offering courses in digital marketing, web development, and other digital fields. They offer both full and part-time on-campus courses. Some of their courses can also be taken on-line. Their courses are offered in cities around the globe. Google Analytics is only one part of General Assembly’s Digital Marketing course. This course, offered two days a week (9-5) in-person over ten weeks or as an accelerated one-week course, costs $3950 per person. The Digital Marketing course presents a broad introduction to digital marketing concepts and Google Analytics plays the role of performance measurement tool. The course consists of ten units, one of which includes a “Google Analytics Deep Dive”. In addition, the course covers paid social, lead generation, and campaign planning. General Assembly is the most well known digital marketing boot camp, but there are a variety of other companies offering such training. BrainStation offers courses in New York and other large cities. There is GrowthX Academy in San Francisco that offers a digital marketing bootcamp with a tech startup spin. Most boot camps are focused on overall digital marketing skills, but include Google Analytics as a featured segment. Here’s a guide to some additional boot camps. There are a wide variety of training options based on your focus-- some offer work-study, some are focused on career-building (interview preparedness and other relevant skills), and some are for different levels of career experience (such as recent grads). It might be helpful to make a list of your or your businesses training needs before you decide to attend. As with other training courses, boot camps offer benefits and drawbacks to consider. Boot camps are far more in-depth than seminars. You’ll leave a boot camp with a serious understanding of digital marketing practices and tools. An intensive course helps you develop a relationship with other students and faculty that can benefit your instruction and possibly offer networking opportunities. 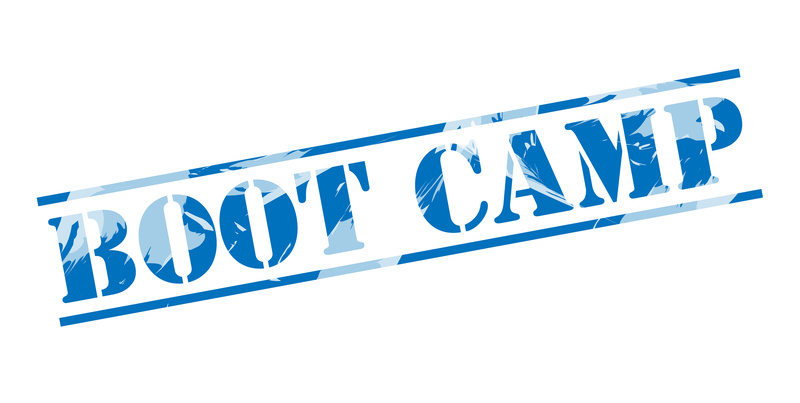 Boot camps are designed to give you an employable skill, and many offer job search assistance and connections to relevant companies. Boot camps are a significant time commitment, often a full eight-hour day a few days a week for a few months or five days a week for 3-5 weeks. Boot camps are the most expensive option for digital marketing training, with courses costing thousands to even tens of thousands US dollars. If certification is your goal, you still might need to do the online Google Analytics Academy in order to pass. It can be daunting to try to learn Google Analytics on your own, but luckily, there are multiple options for Google Analytics training. If you want a basic, free education that leads to the Google Analytics certification it is readily available from several services including Google itself. If what you’re looking for is deeper knowledge and more significant training, you can take courses in a wide variety of intensiveness to acquire the relevant knowledge. Take care to choose the one that will get you the best bang for your buck and teach you Google Analytics skills to the depth you or your business require.